The outfits are sublime, the moves are carried out with the kind of discipline you'd expect to see at a Beyonce concert, yet here you get the sense that Monae could still take you anywhere, such is the freewheeling nature of her performance. 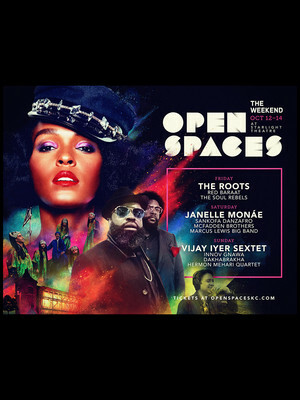 Why See Open Spaces Festival with Janelle Monae? Billed as the ultimate ever-evolving arts experience, Open Spaces fuses together works and installations by over 40 visual artists, and music, dance, spoken word and theatre performances for a multi-venue, multi-sensory spectacular that highlights the multi-culturalism, growing arts scene and openness of Kansas City. 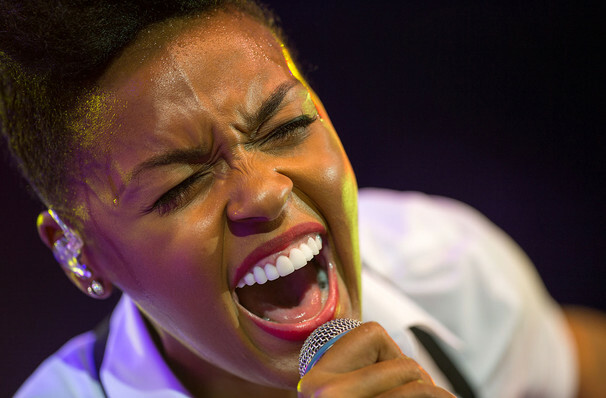 The festival's exciting Saturday concert program features headliner Janelle Monae, the Marcus Lewis Big Band, Sankofa Danzafro and the McFadden Brothers. Riding high after the critically acclaimed release of her third studio album Dirty Computer in early 2018, Monae has received stellar reviews for both its recordings and live performances, as well as its celebration of female energy and empowerment. A true powerhouse performer, the Kansas-born super star combines shades of Prince, Grace Jones, Erykah Badu and Funkadelic for a sublime Afro Futurist blend of R&B, electronica and soul. Her assured, confident performances, powerful and political lyrics, and seamless artistic persona mark her as one of the voices of her generation. Sound good to you? Share this page on social media and let your friends know about Open Spaces Festival with Janelle Monae at Starlight Theater. Please note: The term Starlight Theater and/or Open Spaces Festival with Janelle Monae as well as all associated graphics, logos, and/or other trademarks, tradenames or copyrights are the property of the Starlight Theater and/or Open Spaces Festival with Janelle Monae and are used herein for factual descriptive purposes only. We are in no way associated with or authorized by the Starlight Theater and/or Open Spaces Festival with Janelle Monae and neither that entity nor any of its affiliates have licensed or endorsed us to sell tickets, goods and or services in conjunction with their events.